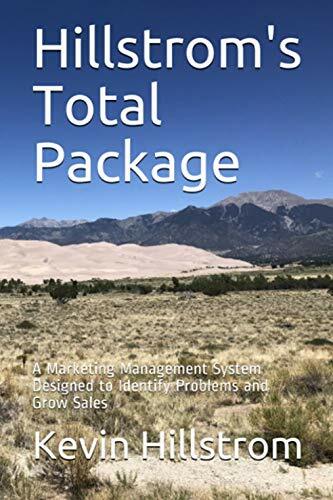 Thanks to the many of you who asked for a sample copy of a watered-down Online Marketing Simulation worksheet! Over the next few weeks, we'll be going over numerous examples, based on the contents of the spreadsheet. If you would like a copy so that you can follow along, send me an e-mail message, and I will send you a copy. Remember, I've removed some of the really important elements of the spreadsheet, those that factor in what happens when marketing is increased or decreased, the good stuff that CEOs ask me to estimate for them. Take a look at the spreadsheet. This example illustrates how a business is likely to evolve over the next five years. Notice that this business, if things continue "as-is", will be in steady decline, dropping from $76 million next year to $63 million after five years. When this happens, you've got problems! So let's try something, as a way of easing into the simulation. Look at cells C5 - G5. Here you can make changes to the annual retention rate. Let's assume that the economy magically bounces back, so annual retention rates improve, by, say, 17%. Plug the scalar 1.17 into cells C5 - G5. Now look at what happens to annual sales. The business is now at $86 million, each year. This gives you an idea of how the business will change, over time, if the economy improves. And we know that there is basically no chance of the economy improving by 17% anytime soon. So this business has a problem. 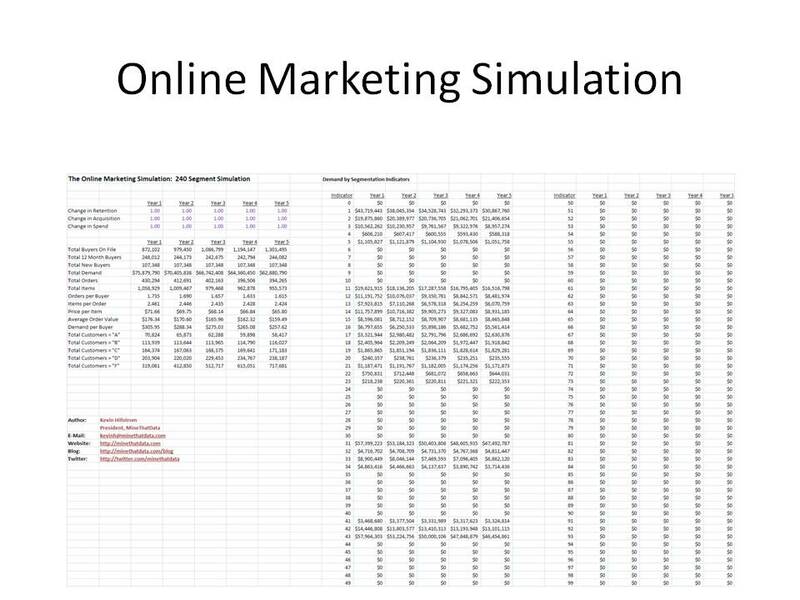 In upcoming weeks, we will use this Online Marketing Simulation spreadsheet to better understand how a business might decompose what is happening, and then find a path to a brighter future. This is a logical extension of the Web Analytics tools we've been trained to use.